What Illuminati, Lady Gaga stunned Church goers in one Pennsylvania town when she walked into the Church with her boyfriend. According to E! 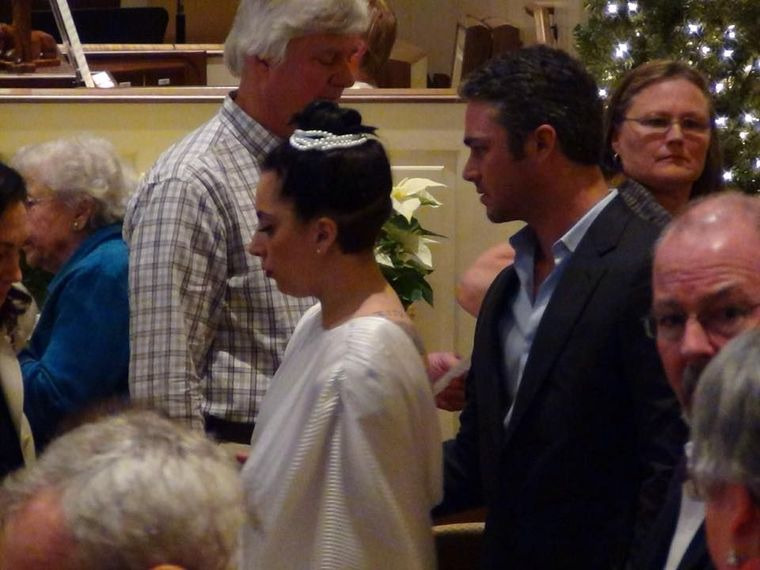 Shortly before the 10 a.m. Sunday morning service at Grandview United Methodist Church, worshippers spotted Lady Gaga and Taylor Kinney stepping inside to attend a family baptism. The couple showed up to the local church where Kinney's aunt is a regular attendee. One attendee who was extra excited to see the pop star in attendance was church choir member Liz Fulmer. "People from the church told me that she whispered to her boyfriend that I was good,"
And although the two missed the chance to talk in person, Fulmer got a special message from the Mother Monster after church. "Hi Liz, it's Gaga," it read in part. "You were sensational. Keep up the amazing work." Looks like someone was a true blessing Sunday morning!